Martha Reeves is an astute business woman and remarkable vocal artist. Martha recalls the legendary opera tenor George Shirley teaching music in the Detroit school system. It is my opinion, Martha could also have been a great opera soprano. Martha started with Motown as a secretary and subsequently sang background vocals on Marvin Gaye's first single, Stubborn Kinda Fellow. 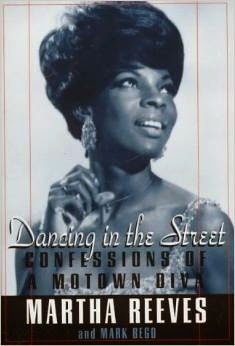 I first encountered Martha Reeves in 1968 when WorldWide Production produced the first Motown Review concert on the west coast. As vice-president of WorldWide Production, I steered the historic concert to Long Beach instead of Los Angeles. The concert included Marvin Gaye, the Four Tops, Martha Reeves & the Vandellas, and Etta James.